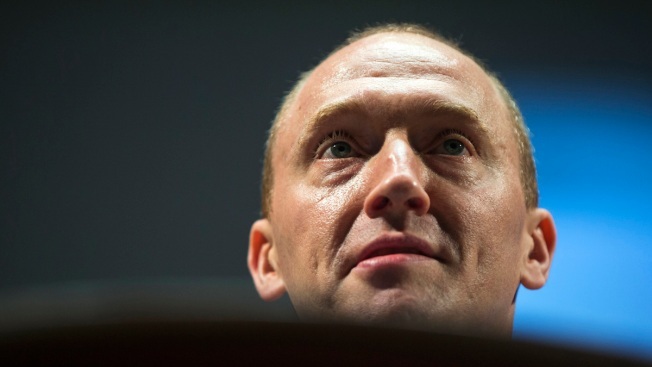 In this Friday, July 8, 2016, file photo, Carter Page is seen in Moscow, Russia. The FBI on Saturday made public redacted documents related to the electronic surveillance of former Trump campaign aide Carter Page, who was at the center of a controversy over how the FBI sought the secretive warrant, NBC News reported. On Sunday, Page strongly denied being an agent of a foreign power and called the claims in the FISA warrant "so ridiculous" and "spin." He said on CNN's State of the Union Sunday that "it's literally a complete joke and it only continues, it's just really sad."